Apple released their latest software update, iOS 10, on September 13. Like most of their updates, it has some new features that you will definitely want to take advantage of. Here are some of my favorites. Get Rid of Those Annoying Apple Apps! – We can finally delete the apps that Apple has forced on us for years. This includes Contacts, Maps, Podcasts, and Stocks. Once deleted, if you want them back (? ), then you can just download them again from iTunes. There are still some Apple apps, however, that cannot be deleted, including Health, Messages, Safari, and the Clock app. Drag a tab to the side of the Safari screen. Tap and hold a link from a website and select Open in Split View. Use Command and N on the keyboard to open a new screen. Tap and hold the Tabs button and select Open in Split View. Find Your Car – If your car has Bluetooth or CarPlay, the Maps app will now automatically display its location, along with notes you make to yourself about where you parked (like garage level). You can also ask Siri “Where’s my car?” and she’ll give you directions to it. Sort Your Mail – It’s now easier to sort the email that comes into your mailbox. Go into Settings — Mail — Swipe Options and select Move Message as your Swipe Left option. 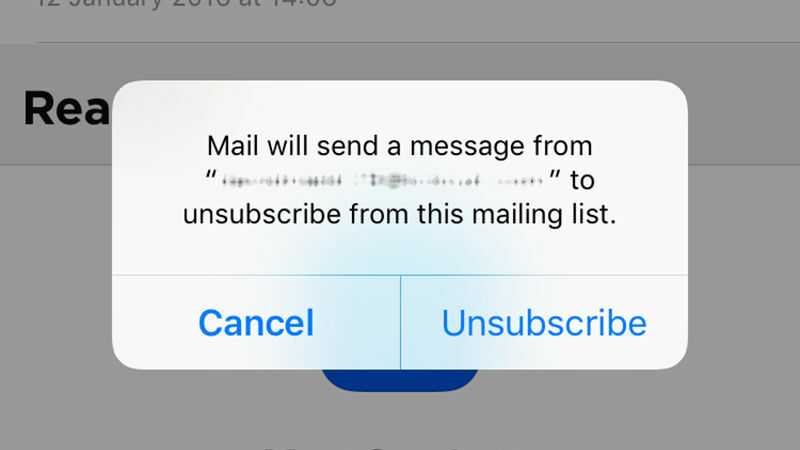 Now, in your inbox, swipe left on any email and be presented with the option to move it to another folder, archive it, or six other choices. After you’ve moved a few, Mail will start to offer suggestions on where you should file the message, which will save you even more time. Magnify Your World – For people like me whose eyesight is not quite as good as it used to be, the new Magnifier setting in Settings — Accessibility is fantastic. When turned on, it uses your device’s camera to magnify things. To access it quickly, just triple-click the Home button. Mark Up Your Photos – Ever wanted to draw on a photo you’ve taken to illustrate a point? Now you can. The Photos app uses the same Markup extension as Mail does (which lets you annotate or draw on an image in any email), allowing you to draw on your screenshots or images, add callouts, and more. If you don’t like what you’ve drawn, you can erase it with no changes made to the photo and try again. Get More Sleep – Inside the Clock app, there’s now a Bedtime button that will help you get more sleep. Answer a few simple questions about how much sleep you think you need and what time you have to get up in the morning, and your device will now remind you when to go to bed to get enough zzz’s. It features a nice selection of reminder tones and a good, but basic, sleep analysis of whether you are going to bed on time regularly. I can see this being really handy for young children and teens. Help for Those with Special Needs – The new update includes some very nice accessibility additions, which is amazing, considering that Apple is known for accessibility features on all of its devices. You can read an explanation of them here. Use Third-Party Apps Inside Maps – Now you can use third-party apps, like OpenTable for reservations, inside the Maps app. To turn this feature on, go to Settings — Maps and toggle the switch to On for any apps that you want. Access Street View – The free Google Street View app will now work on your iOS devices. Have Your Voicemail Transcribed – Once you receive a voicemail message, the system will take a few minutes to try and transcribe it. Once it’s finished, just tap the message to expand it and you’ll find the transcription. Empower Siri – Siri is now stronger than ever with apps that integrate inside it. This makes it even easier to have Siri call you a cab, leave a message, or make a reservation for you. There are a lot of other new features in iOS 10, especially for the Messages app. But this list should give you enough to get started with. And remember that the update is always free from Apple. So what are you waiting for?